I’m back, and ready for a new challenge. Quality Chess are running the ‘Yusupov Challenge’, with the aim being to work through six chapters of Yusupov’s award-winning instructional series per week. I received the whole series for my last birthday and have been meaning to get stuck in to them, so this fits in nicely with my plans. If any readers would like to join me in the challenge (either at six chapters per week or at a pace which suits them) I would be delighted! You can sign up here. I will be writing a short post on this blog to mark each chapter completed, sharing my score and the approximate time I spent, which has been the subject of much debate on the Quality Chess blog. Notes on the first chapter below. I rattled through this chapter in about 50 minutes – 20 minutes reading the thematic introduction, and 30 minutes solving the puzzles. Most of the puzzle solving time was setting the positions up on a board rather than actually solving them, though I did spend a few minutes on 1-9 and 1-10. I didn’t bother to set the pieces up for the positions in the introduction. I scored 14 out of a possible 16 points on the exercises, losing two points on 1-10. 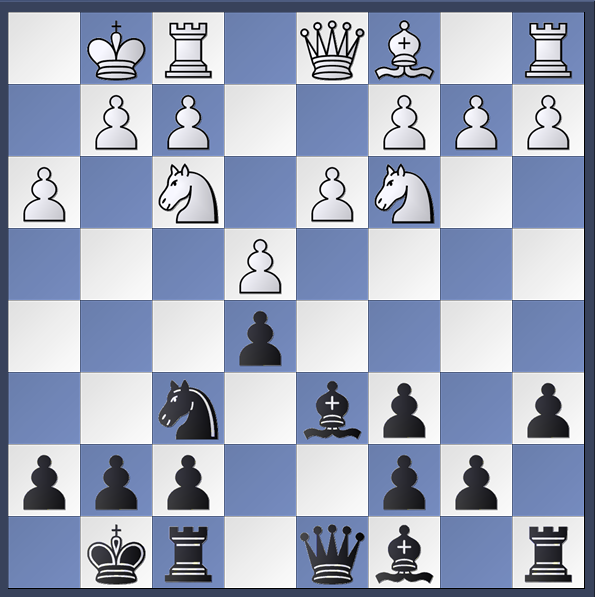 Although I chose the correct first move (1…Ng3), I carelessly completely overlooked Black’s main reply (2. Qxd4). 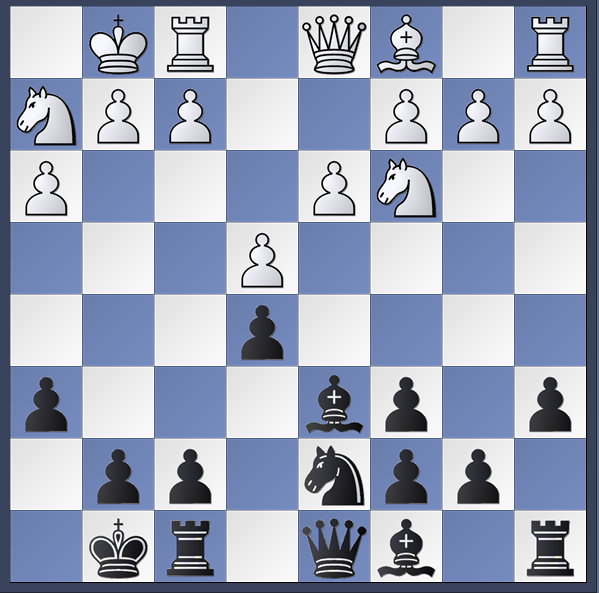 In 1-9 I chose to exchange rooks in a subvariation (1…Kg7 2. Nxf8+ Kxf8 and now instead of the immediate 3. Nxh7+ I chose 3. Rf8+ Kf7 4. Rxa8 Nxa8 5. Nxh7), but as the ending looks to be winning anyway I haven’t deducted points. For anyone else doing the challenge, let me know how you got on with the first chapter below. General update: Blog regulars will by now be used to months-long gaps in my posting. Rest assured that I have been playing lots of chess in the interim, though my studying has not been going as well. The blogging has suffered as my planned ‘Road to 2100 Lessons Learned’ series has fallen victim to scope creep and perfectionism, the result being that it has yet to materialise at all. I will refrain from making promises about when it might finally appear; hopefully it will be a pleasant surprise for you when it does. In other news, I have for the first time managed to qualify for the main section of the British Championship in July/August. I am very excited about getting to play in the same section as the absolute elite in this country (Mickey Adams won it last year), and training for that will be my focus for the next few months. The promised ‘lessons learned’ is in the works, but it has expanded from one post to a series. I do not want to rush out a half-finished effort, so hope you will forgive me for the delay. In the meantime, here is a list of the books and other resources I have found useful in the last year, as well as those I am intending to dig into soon. A challenging exercise book (with explanations), which I am sure will improve my calculation significantly when I finally manage to finish it. Not recommended for players rated below 1900. An interesting look at some well-known and less well-known tactical motifs. I have finished this apart from the exercises at the end, and plan to re-read it at some point. An excellent book, focusing only on the endgames the author has identified as being most useful for practical players. 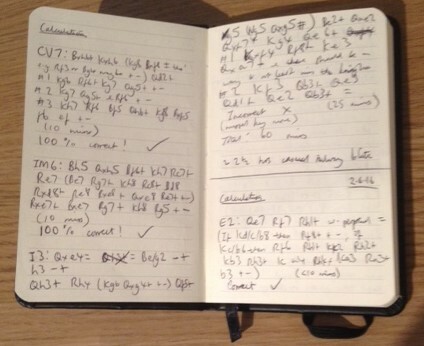 As with ‘Calculation’, I am expecting significant improvement when I finally manage to finish it! Next on the list: I got the complete Yusupov series for my birthday, and am planning to work mostly on that for the moment. For those who own these books or other QC improvement books, I suggest you have a look at Jacob Aagaard’s recent post about the best order to read them in (and his answer to my question in the comments). Chess Tempo is a website with free tactics puzzles. It is my home page, and I have a rule that every time I open my browser I must solve at least one puzzle before going to another site. There are many other resources I have found useful in the past; the selection above is just what I have been working with recently. Let me know what your favourite chess books, videos and websites are at the moment in the comments section below. I’ve done a lot of what I have decided to call ‘nodding along training’ in the past. By this I mean listening to or reading an explanation of something, whilst nodding inwardly and thinking “that makes sense” or “I understand that”. You may or may not be paying full attention to the explanation, but either way it’s not the most active form of training. In my later years at secondary school, nodding along training was my main form of study for exams. I would listen to an explanation of a method or concept in a maths lesson, think I understood it, but frequently fail to prove my ‘understanding’ in the exam. Of course, the way to avoid this is to do plenty of practise exercises before the exam, to expose the areas you do not understand fully. When it comes to chess, watching opening videos is a major form of nodding along training. (If you watch them in a comfortable chair and with a beer in your hand, it can even become ‘nodding off training’!) It is very easy to listen to Kasimdzhanov or Shirov explain the Nb1-d2-f1-g3 manouvre in the Giuoco Piano or Ruy Lopez and think that you have understood something profound about the game of chess. However, when you have the opportunity to employ this deep new understanding in your next competitive game, you often find that you were mistaken. This is a position from my game against IM Alexandre Vuilleumier from the recent London Chess Classic. White has just played h3, and with very little thought I mirrored him with h6, thinking something along the lines of “h6 will always be a useful move, and I’ll decide on a plan next move”. White played Nh2, and I then decided to employ a plan which had been mentioned to me by my guest GM Tal Baron as playable in a similar position. I played Nd7, the idea being to go f6, Re8, and usually either Nf8-e6 or Nc5(-e6) depending on circumstances. This would have been an excellent idea on the previous move, but now that I have played h6, it makes very little sense to play f6, as the light squares around my king will be weak. 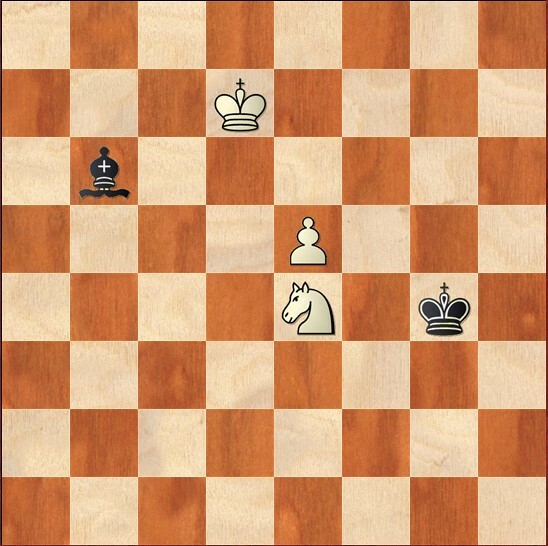 My opponent immediately highlighted the potential weakness of the light squares with Qh5, and I was forced to abandon my plan halfway through and come up with another one. Use material with built-in questions or tests. The ‘move by move’ series of books by Everyman is a good example of this, and some ChessBase DVDs also include questions nowadays. Ask yourself questions. If done properly, I can see this being even more effective than answering questions which are provided by others, as it makes you really think about the material. 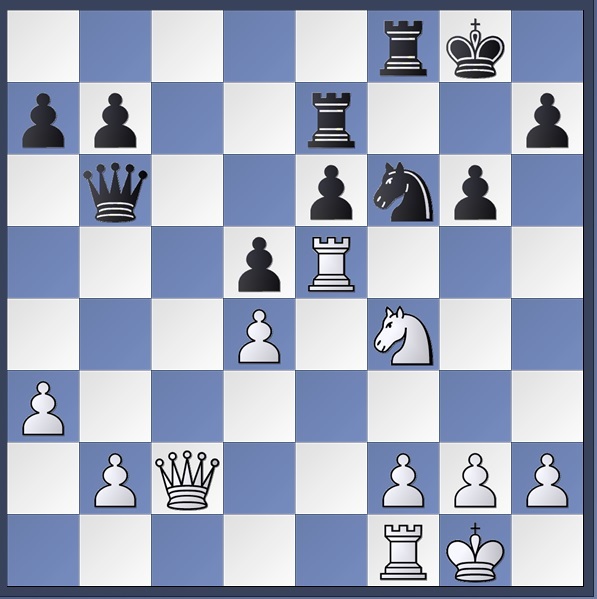 For example, you might ask yourself ‘Under what circumstances is Nd7/f6/Re8 a viable plan?’, ‘When would the knight go on to c5 and when would it go to f8?’ and ‘What are the indicators that this plan may be inadvisable?’ (One answer: ‘your pawn being on h6 rather than h7’). Play out positions against a partner or the computer. If you are studying an opening, you don’t necessarily have to play to the end, but playing some moves forces you to think and apply what you have learnt. Have you been guilty of doing nodding along training yourself? Do you have any other ideas for combating it? Let me know in the comments sections below.